'HE was one of the best'. That is how the curate of the Church of the Nativity Father Vincent Cushnahan described Poleglass man Tony Norney, who drowned in Australia almost a fortnight ago, at his funeral mass on Tuesday. 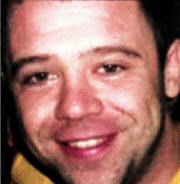 Mr Norney (27), originally from Colinvale, had worked in Australia for three years. He died while swimming at Kakadu National Park , a spot made famous as the setting for the 1986 film Crocodile Dundee. During Requeim Mass on Tuesday afternon, Fr Cushnahan said: "To his family he was the baby boy, a young man filled wtth so much joy, light and love for life. He was one of the best. The type of young man who enters a room and changes the mood in an instant. "Tony always had a smile and was a person filled with humility and good spirit." He went onto say that Tony worked hard and had great enthusiasm for life, and was an avid Arsenal Football Club fan. "Tony had a great pride in what he did," Fr Cushnahan said. "For several years he worked as a chef at the Merchant but he wanted a change and had a zeal for adventure and life that took him to Australia. Fr Cushnahan continued: "I am sure his many friends have a unique Tony story, packed with all he got up too, especially when he saved a young man's life. He left an imprint on so many lives. Tony will not be forgotten." He said that he hoped that this mother Carol, father James and brother, Leo take comfort in the words - "The dead go no further from us than God and God is very near."